Love how fast and simple this meal is to prepare for the freezer. You can mix up the flavors by using different types of vinaigrettes, but a simple herb vinaigrette works best. Enjoy! Peel and cut the whole carrots into 2-inch pieces. 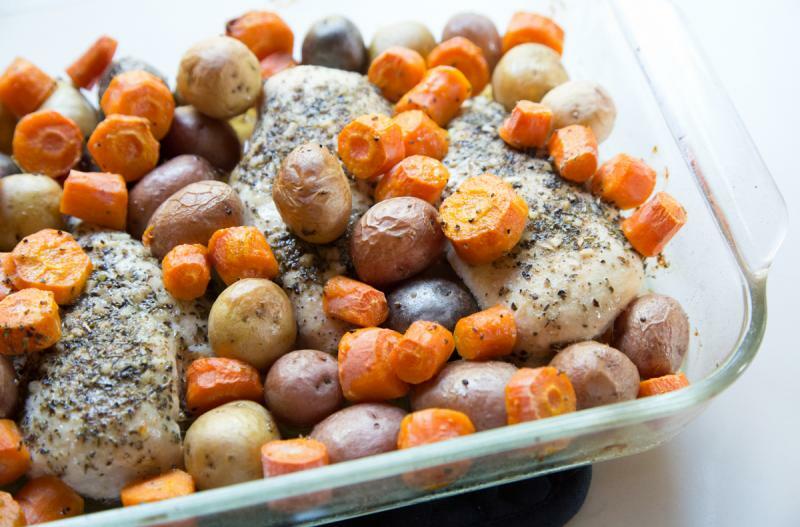 Place the chicken breasts into a 9x13-inch baking dish and sprinkle with a little salt and pepper. Add the baby potatoes (whole), carrot pieces and minced garlic around the chicken. Pour the herb vinaigrette dressing over the top. 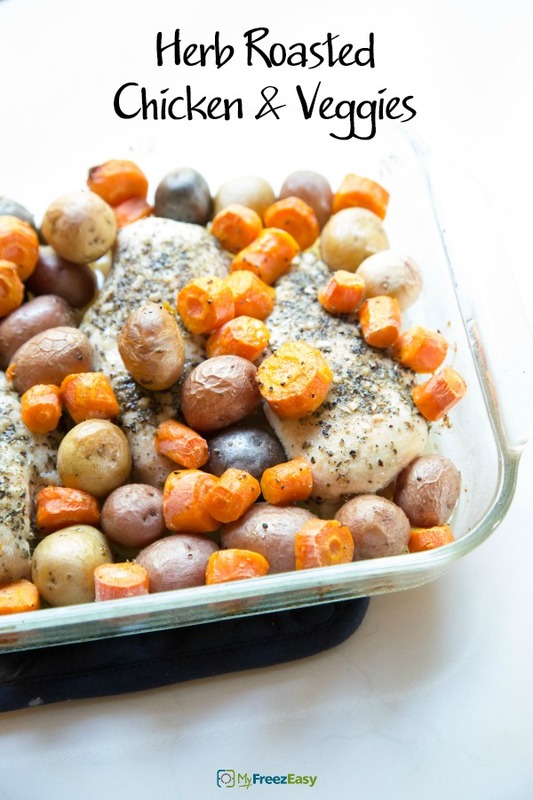 Bake in the preheated oven for 45 to 50 minutes, or until chicken is cooked through. Serve Herb Roasted Chicken with salad and dinner rolls. Peel and cut 16 whole carrots into 2-inch pieces. Recipe is gluten-free when served with gluten-free sides like rice or potatoes. Thaw completely and bake at 400 F for 50 minutes. Serve with side salad and dinner rolls.